Listen to my slipping clutch! Some info about Manual Giros Soriano Outboard engine?? Or visit the Soriano Outboard web-site! 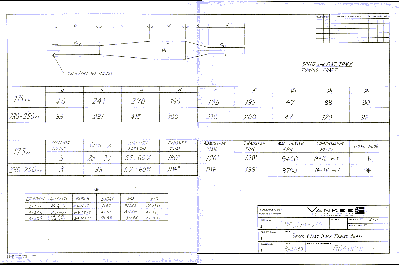 OSSA Reproparts,a list of available repro parts for OSSA. Please help me to complete the list. Join the OSSA web community and mailinglist at Yahoo! 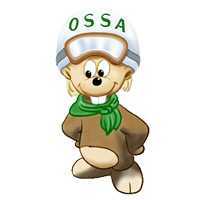 Check out the OSSA message board at Yahoo! Lots of people ask me about where to get parts. Do you know, please tell me. 2011 I finally had my OSSA Prepared for the Västmanland Runt Vintage Enduro in Surahammar. The latest bike to my collection, an OSSA OSSITA 50. Frame number B 252 402, engine number M-252 402. Listen to my slipping clutch!! 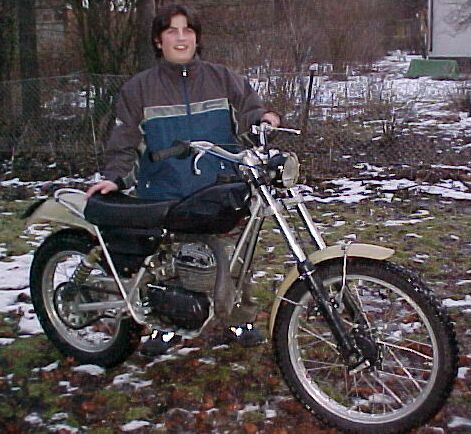 This is my OSSA I bought it 1974 and I used it a lot during the late70´s. Even touring trips to Spain and Iceland (unfinished story). I use it only once a year on my vacation in the deep forests of northern Sweden. I dragraced my brothers -76 Phantom. Picture2. Pictures and links, articles and info. Manuel Giro, founder of OSSA see pictures sent by his Grandson. A French Santiago Herrero Replica!! The only 4 cylinder OSSA ever built. Terence Hill in the movie Watch Out We're Mad"
Wes Baker250MAR Mike Benson 350MAR California U.S.
PaulBrennan British Columbia Canada owner of a OSSA Plonker 1970. JohnLaurent knows were to get parts in the USA. David Klear, Leadville, Colorado, USA have about 30 motorcycles 20 Buls,5 Ossas. Terry Wilkison, Indiana, USA Recently i bought a 74 250cc OSSA Phantom . Paul Rostic, Canada knows how to race prep. and have parts and an genuine ISDT bikefor sale. VerneElmore, So California USA, owns 7 complete OSSAs, involved in vintageMX-racing. Don LaRue, Muscatine Iowa, USA owns 4 OSSAs involved in vintage racing. Guy Peace,Derby, England involved in vintage club trial. Chairman of his club is Mick Andrews himself! Keith Gray, Kennesaw, Georgia, USA the original owner of a 1971 Pioneer. A true love affair! The Bike is now restored!! November 2012! Lew Davis, Stillwater Oklahoma,USA, owner of 2 Six Days Replicas. 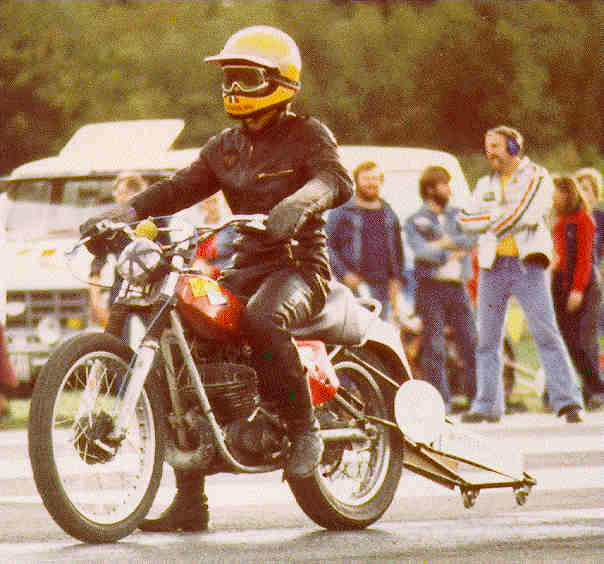 Ron Brown, Newark New York,1973 SDR replica, picture of his friend Buzz McMillian. Jeff de Bell , Oveland Park, KS USA, 1974 SDR replica, knows a lot about the SDR history. Jeff Schroeders , St Louis MO, USA , 1978 6 days, SDR, 1971 Pioneer . W J. Powers , Rhode Island USA, help him to identify his OSSA. David Richardson, Leavenworth, Kansas, USA. Phantom nut and 125 lover. Carlos Latorre, Lleida, Spain, look at this beautiful racer! Phil Ashmore, Ontario, Canada 1972 MAR (picture). Bruce Langdon, Fayetteville North Carolina, USA 1972 MAR which he bought new. Steve Metz, Washington DC, USA 1971 Ossa Pioneer. Philippe Steck, Switzerland some nice OSSA pictures. Dwight Rudder, Jackson Ms, USA, 7 time ISDT/E medalist. Jeremy Sharam, U.K. rebuilding a Plonker. 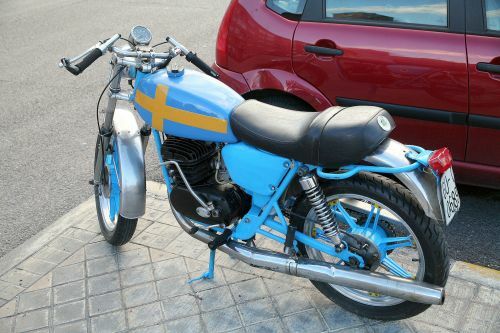 Joan Carles Orengo, Barcelona Spain beautiful pictures of a beautiful TR 80. Keith Hovvels, Newcastle, England. 1973 OSSA PHANTOM MX used in vintage MX. Miguel Barella, S. Paul, Brazil. Manuel Giró was his uncle!! Lots of pictures!! Luis M Lozano, Galicia, Spain 125-C Ossa (1963). Neil Haslam, Derbyshire, England, 230 sport road racer. Rob Hollister, South Africa, 1974 MAR and several other intresting bikes. Leland Loper, Billings, Montana, USA owns 30 Ossas and Races in the AHRMA series. Doug McMahon, New Port Richey, Florida, USA. Owns 26-28 Ossas. Francesc Mengual, Spain, "Negrita" 125 and OSSA Urbe!!. Alberto de Gijón, Asturias, Spain. 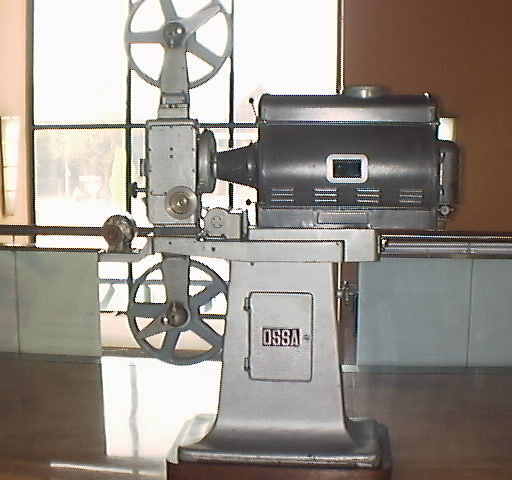 OSSA 175 cuatro tiempos fabricada en 1962. Martin Bush, Bournemouth, England. 1973 MAR. David Wood, England, MAR with a aluminium tank. Ross Foreman, Western Australia. Building a road racer. Murray Grant, Perth, Western Australia. Owns several OSSA. Pics of a 1969 Stiletto. Scott Thompson, Canberra, Australia. Never had an OSSA. Looking for one. (Ossa) Bill Saylor, Round Rock, Texas, USA. Bringing his 30 year old Stilleto back to life. Jim Evans, New Columbus, Pennsylvania, USA. After 28 years, another OSSA. Jorge Palomar, Spain. Grandson of Manuel Giro. Pictures from the family album. Lee Allison, Bryson City, North Carolina, USA. Still racing OSSA. Giovanni Dughera, Italy. Chairman of Club OSSA Italia. Owns several OSSAs. Skip Tirdell, Mohnton, Pennsylvania, USA. Owns 11 trial bikes. Chris Walker, Berkshire, England. A restored 1971 Pioneer. Harald Morgalla, Velbert, Germany. A Terence Hill "Watch out we're mad" SDR replica. Laurent Tremblay, France. 125 Phantom and a Super Pioneer. Stephen Firlotte, Bognor Regis, England. 1974 MAR. Pascal Bouyrat, France. Water Cooled Yankee 500! Norman Worthington, Northern Ireland. 1972 MAR. Jerry Baljeu, Sarnia, Ontario, Canada. OSSA importer for Eastern Canada in the 70's. Tony Millwood, Canberra, Australia. 1972 MAR. Artur Kowitz, Daytona Beach, USA. A former OSSA dealer that used t o race the Wildfire. Eugeni Tiana, Barcelona, Spain. MAR and a Phantom. Tom Bailey, Nyack, NY, USA. Former editor of bike magazines in the 70's. Manuel Bonnín, Mallorca, Spain. Pictures of his friends collections. Dirt Track Prototype from 1981!! Craig Parkinson, USA. 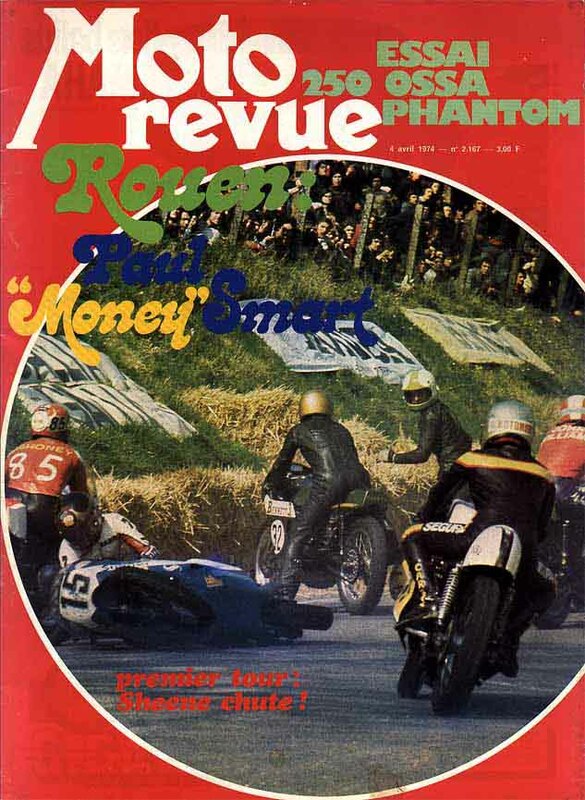 Racing a 1974 Phantom. Pictures from Vintage Iron World Championships at Glen Helen racetrack. Harald Kurzer ,Rauenberg, Germany has rebuilt a 160T. Steve Reed, Kanata, Ontario, Canada. A beautiful Stilleto roadracer. 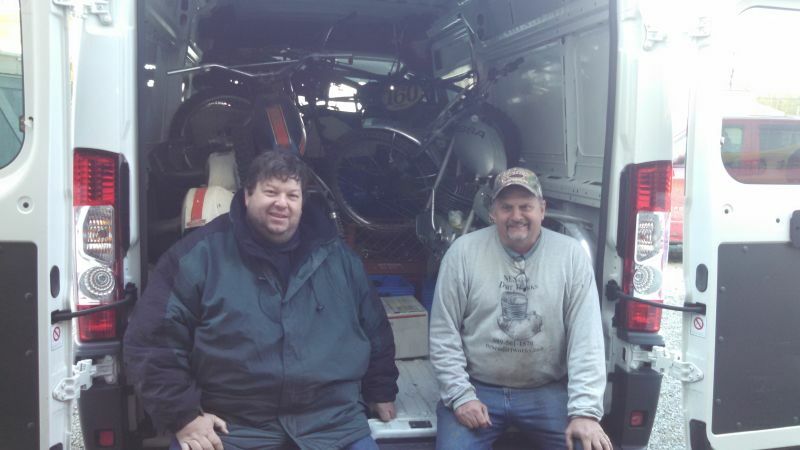 Vaughan & Scott Thompson, Durham, England.Restoring a TR 350. Joshua Hutterer, Pittsburg, PA, USA. Has got lots of parts for sale. Emilio Carra, Italy, have built a Ossita MAR and the Pata Negra!. Steve Poggi, California, USA. ST-1 short tracker. Steve is an ex racer. Rod Murufas, California, USA. An ex champion road racer. Please send info about spareparts if you know. 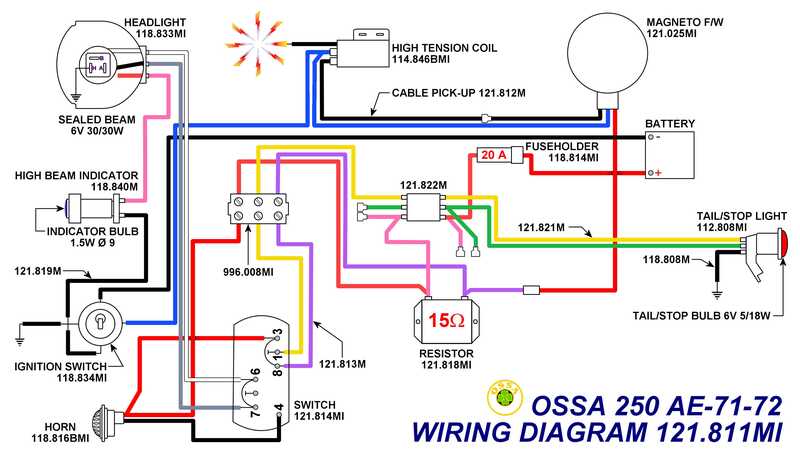 Ossa parts and service available. Phone number: US (845)783-3557. I was an OSSA Dealer from 1969 to 1981. I live in Monroe, N.Y. I have complete engine service available and a lot of parts. I did some Flat Track racing for a while. When I quit racing , I was looking for something to do to keep busy so I started to work on OSSA's again. I'm having a lot of fun and doing a lot of trail riding. including complete in-house machine-shop service, and new hi-tech improvements, for performance and reliability available continuously since 1972. I have a huge inventory of n.o.s. OSSA parts (largest in the U.S.) Let me know what you need and I should be able to produce them for you. 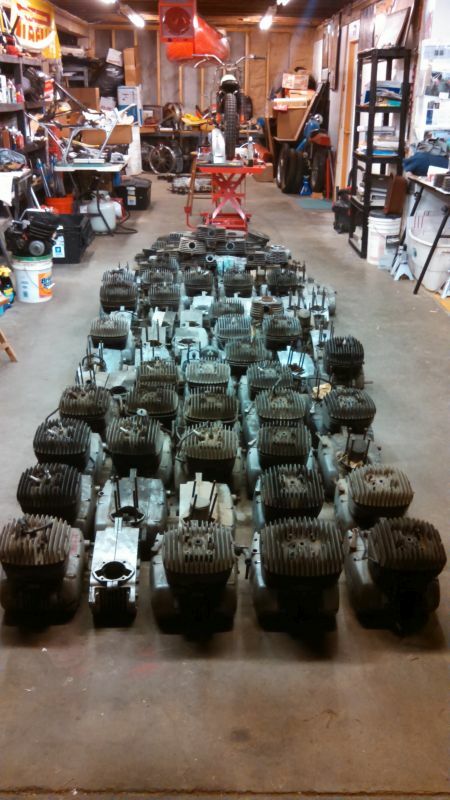 I have one of the largest Ossa inventories in the US and I have sold the motors and motor parts to Joe Bilazzo Nesco Dirt Works 609 513 8205 nescojoe@gmail.com. Joe enjoys and respects the Ossa marque. Joe rebuilds Ossa engines at reasonable cost using Made in Spain parts. 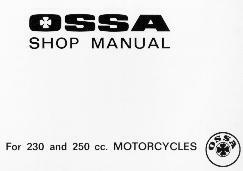 OSSA motorcycles, parts, literature, memorabilia. 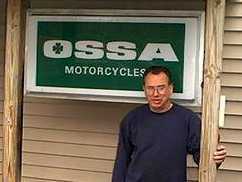 "I have been dealing in OSSA parts for 20 years, and have an extensive supply of parts, mostly new, some used. My specialty is getting the CORRECT part to you on the first try, and I package everything carefully. I can ship both United Parcel Service (UPS), and U.S. Postal Service, usually same day as your payment. Prices are in US dollars, and do not include shipping. We have a product line of 54 items. The complete line of Vintage and Evolution for Husky . 26 Bultaco items as well as some Honda, Can Am, Kawasaki, Yamaha and 8 OSSA items. Petcock Rebuild Kits for cast alum. petcocks. 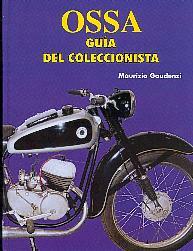 COLECCIONISTA Y RESTAURADOR DE MOTOS "OSSA"
This guy has got about 100 OSSAs and all the parts you can think of. Speaks no english but can manage in French. makes some fibreglass parts for OSSA´s. I restore vintage mx and enduro motorcycles for a hobby. All gas tanks are made of vinyl ester resin for chemical resistance to gasoline. Fenders and side plates are made of iso-flex or DCPD resins, no low grade ortho resins are used. All parts are made with iso-flex gel coats to reduce cracking. I have reproduced the OSSA badges (Blk/Chrome) in a thick style badge that can be screwed and stuck on the tank. They look very good. They retail for $30 a pair and dealer price breaks are available. The legendary Sammy Miller himself. "Near the frontier whith France in La Redorte near Carcassonne in the south of France a dealer specialized in spanish bike called "Made in Spain". His name is Jean Claude Sanz a lot of parts for Bultaco, Montesa and Ossa of course." "We have all the parts you can imagine for Bultaco (we are specialised in !) but even Ossa, Montesa, etc !!!" 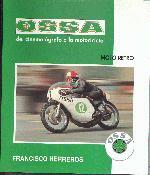 Quico Payá was factory pilot of Ossa (trial), he was a very good pilot. Lube was a spanish bike that was very popular in the 50's. We founded the club for all the owners of Lube bikes. I've been working in the bike world for all my life, that's why I've collected a lot of bikes and all kind of spare parts, not just for Lube, but also for Ossa, Montesa, Bultaco, Ducati and other spanish bikes. We can repair all Motoplat Ignition Stators if they are not mechanically damaged. We also can supply new top H.T. coils. Arrivé professionnellement depuis quelques années dans le petit monde du " trial à l'ancienne " , l'Atelier Passion Trial Classic, est désormais une structure qui a fait ses preuves, et qui est en mesure de vous proposer de nombreuses solutions susceptibles de répondre aux questions que vous vous posez, que ce soit dans le choix, la réparation, la restauration, ou l'amélioration de la machine que vous possédez déjà, ou de celle qui vous fait réver. I make seat covers for many spanish bikes. My seat covers have the engraving design exactly like the original items and the model Ossa M.A.R. and Enduro also have the metal stripes on the sides. I can do every new model on request having a good sample and a minimum number of 30 pcs. Price list to show all the models I have in production. Check out Doug Elkes Ebay shop. If you are intrested I can scan pages or copy them for you. This manual has been translate to Spanish by Polo Aledo. If you want to download the PDF-file send me an email: Tuning specs. wanted! This book covers all post-war street and road racing bikes 1945-1985. No dirt bikes. It has a 25 pages section only about OSSA. Tel/Fax: + 34 93 225 04 14. 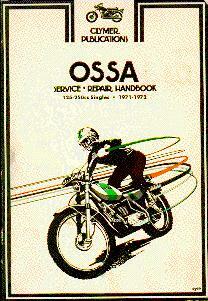 One third of the book covers Ossa 125-250cc singles from 1971-1978. In Spanish. This is a collectors bible. 208 pages. History and description of all models, frame numbers, absolutely everthing you want to know.